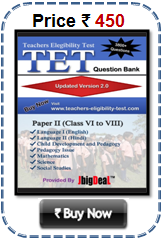 Maharashtra TET Syllabus 2018 Question Pattern mahatet.in 2018 Maharashtra State Teacher Eligibility Test Exam Paper I and Paper II Syllabus. There will be two papers of the TET. Paper I will be for a person who intends to be a teacher for classes I to V. Paper II will be for a person who intends to be a teacher for classes VI to VIII. A person who intends to be a teacher either for classes I to V or for classes VI to VIII will have to appear in both papers (Paper I and Paper II). Hi i am fom hyderabad staying in pune since 6yrs. I want to give maha. Tet. Is it possible for me to give. One more thing i want to know whether 1st language is hindi or marathi, i dn't know marathi.kindly let me know. Bye for now.. I am M.A. Bed. in Marathi Medium.My Method is Marathi and History.i choose Paper 2. plz send mi model question paper for paper 2.my mail id is rgassk@gmail.com.please help me urgent. Hello sir ,How will solved maths que in a minute ? How will solved maths que in a minute ? Hello Sir,I make one mistek of my birth date during the felling the form,Sir plz tell me a solution for this mistek. I make one mistek of my birth date during the felling the form,Sir plz tell me a solution for this mistek. 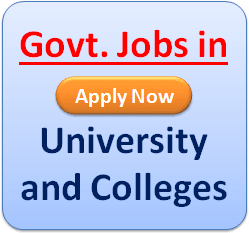 how to do study what is syllabus perticulary of tet std 1st to 5th. I completed my d.ted in this year. I attend the tet exam in last year. I am realy very confused please tell me how i stdy for tet exam. 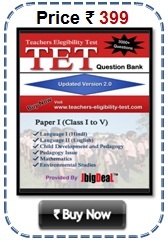 from where i can download tet question set in english. is this website provide such papers.?? ?